When you tap into the imagination of your piano students, you unleash a powerful learning tool. Play-based learning is not only motivating, but it’s also effective. As you teach through play you are helping your piano students to make memorable connections that result in a deeper, lasting understanding of important piano concepts. In today’s post we’re previewing an imaginative, game-based piano book that will get your elementary-level piano students pumped about sight-reading. 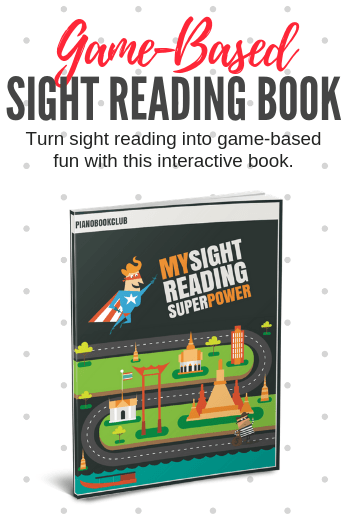 Turn your elementary-level piano students into sight-reading superheroes with April’s PianoBookClub book of the month from Teach Piano Today… My Sight-Reading Superpower. 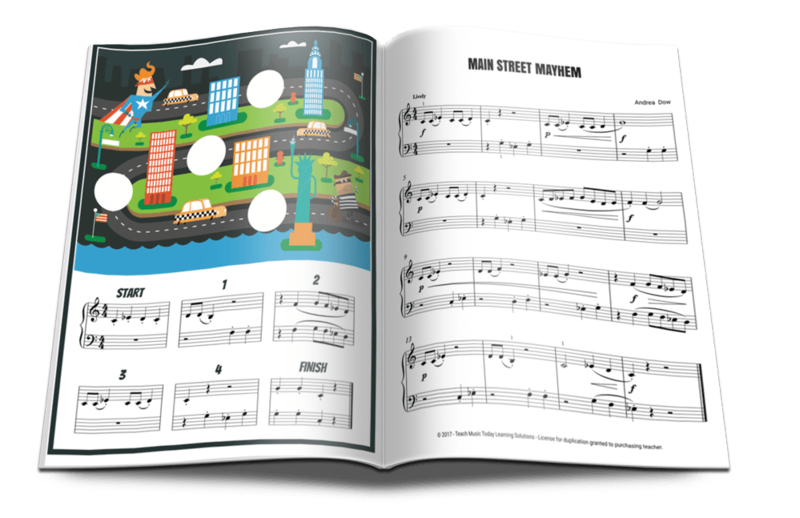 This month’s book transforms sight-reading into an interactive, game-based experience as your students sight-read their way through an urban adventure in major cities of the world. Practicing one measure at a time in a “create your own arrangement”, roll-the-dice game, your students will improve their ability to read notes, rhythm and articulation at sight, making it simple for them to “flip the page” and sight-read the accompanying piece. By employing this scaffolding technique you’re giving your students the skills and the confidence they need to become proficient sight-readers from an early age. Click on the image below for a 9-page preview of this book. Note: This book was the “book of the month” for April 2017. Check out www.pianobookclub.com to find out about this month’s book. My Sight-Reading Superpower is the motivating resource your studio superheroes have been waiting for. 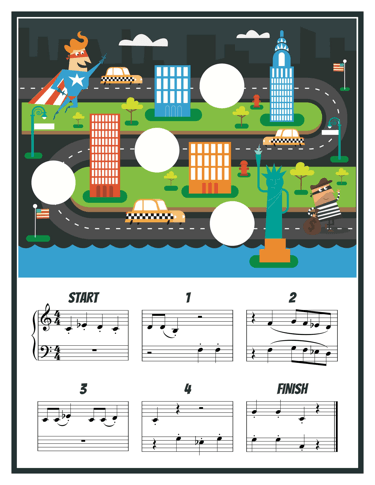 Banish boring sight-reading instruction from your lessons and take your piano students on an action-packed adventure!